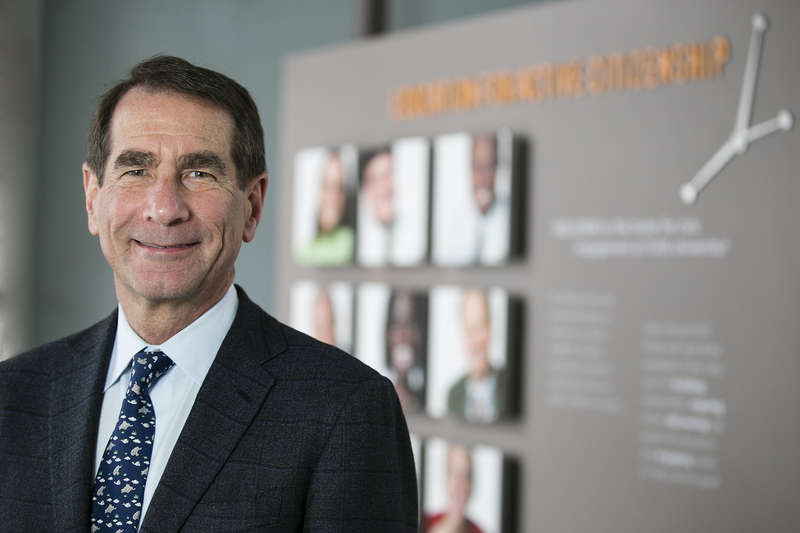 Alan D. Solomont became the Dean of the Jonathan M. Tisch College of Civic Life at Tufts University in January, 2014. The mission of Tisch College is to ensure that every student at Tufts University is educated to be an active citizen. From January, 2010 until July, 2013, Solomont was the United States Ambassador to Spain and Andorra. As President Obama’s representative, Ambassador Solomont helped to strengthen Spain’s cooperation with the United States on matters of global security. He was a tireless advocate for American companies doing business in Spain, and he supported investment by Spanish companies in the United States. He and his wife Susan promoted the values of volunteering and citizen service throughout Spain. Prior to his diplomatic service, Ambassador Solomont was an entrepreneur, philanthropist and political activist. He served as Chairman of the bipartisan Board of Directors of the Corporation for National and Community Service (CNCS), the federal agency that oversees all domestic service programs, including AmeriCorps, Learn and Serve America, VISTA and Senior Corps. He was initially appointed to the Board by President Clinton in 2000, re-appointed by President Bush in 2007 and elected chairman in 2009. Ambassador Solomont spent his professional career in the health and elder care arenas. He was Chairman of Solomont Bailis Ventures, investing in early stage health care companies. He was a co-founder of HouseWorks, a home care company that helps seniors remain independent and supports families caring for aging relatives. He was also a founder and Managing Director of Angel Healthcare Investors. 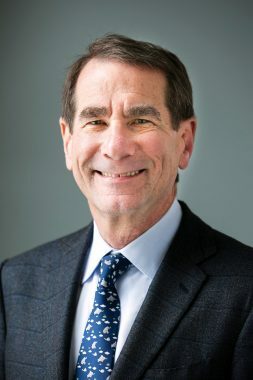 In addition to managing his own businesses, he served on the boards of directors of several non-profit and for-profit organizations, including the Boston Medical Center, Boston Private Bank & Trust Co., Angel Healthcare Investors, Tufts University, the John F. Kennedy Presidential Library Foundation and the WGBH Educational Foundation. He chaired the Boards of Combined Jewish Philanthropies of Greater Boston and Hebrew Senior Life, a large nonprofit elder care provider in Boston. Ambassador Solomont has been a longtime leader in the Democratic Party, serving as its National Finance Chair in 1997-1998. He was a crucial supporter of Barack Obama’s presidential campaign and is a longtime friend of Secretary of State, John Kerry. Drawing on his personal involvement and interest in American politics, Ambassador Solomont taught an undergraduate political science course on the American Presidency as a Senior Fellow and Visiting Instructor at Tufts University. Ambassador Solomont holds a B.A. in Political Science and Urban Studies from Tufts University and a B.S. in Nursing from the University of Massachusetts, Lowell. After graduating from Tufts in 1970, he was awarded the Thomas J. Watson Fellowship for independent study and travel abroad, during which time he made his first visit to Spain. He is married to Susan Lewis Solomont, and they have two grown daughters. B.A. in Political Science and Urban Studies from Tufts University (1970); B.S. in Nursing from the University of Massachusetts Lowell. Former United States Ambassador to Spain and Andorra. Former National Finance Chairman of the Democratic national Committee.